This past weekend my sister and I drove to the Six Flag amusement park near Chicago to volunteer with the JDRF Illinois Family Day. We were volunteering with an organization called Project S.N.A.P, which uses art, technology, and social media as a means to communicate ideas, collaborate around a common goal, and activate change around different causes, in this case, finding a cure for type 1 diabetes. This particular project, Color for a Cure, is a partnership between Project S.N.A.P, the Ford Motor Company Fund and JDRF Illinois. 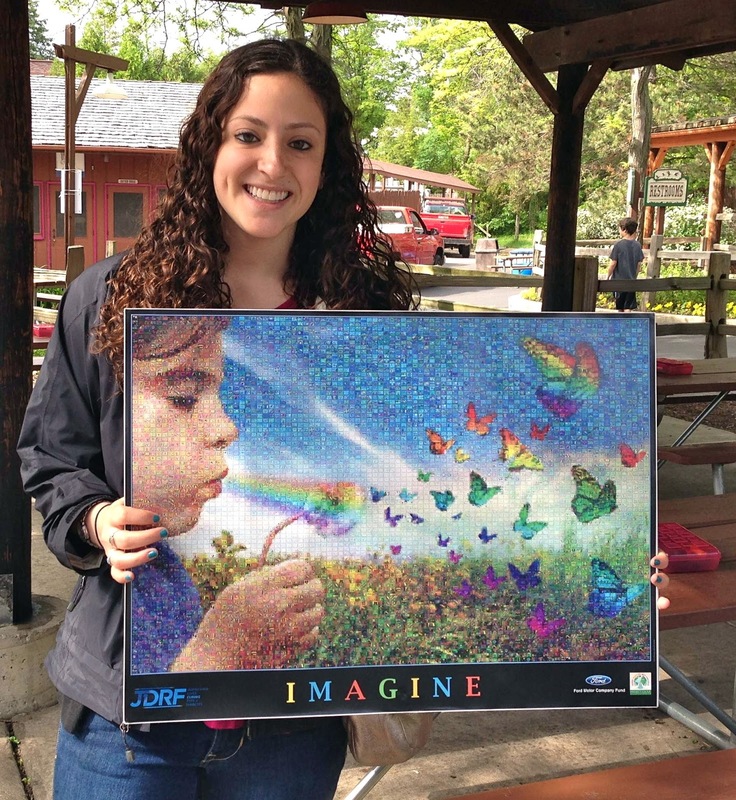 A giant 4’x6′ mosaic mural is created from individual pictures drawn by JDRF Illinois children and families, members of the JDRF Illinois community, and students from across the Chicagoland area. After drawing a picture, participants are able to go online and see exactly where in the mural their picture is in the Project S.N.A.P Online Art Museum! This was the 5th year that Project S.N.A.P and the Ford Motor Company Fund have partnered with JDRF Illinois for Color For a Cure. Over the last 5 years, more than 10,000 artworks have been created! Below is a video from the 2011 Family Day, or you can watch the video from 2012 here. I have been volunteering with Project S.N.A.P at the JDRF Illinois Ron Santo Walk to Cure Diabetes for a couple years now, but this was my first time attending Family Day. Project S.N.A.P collects pictures from both events, which are then are used to make up the mosaic. What’s so amazing about this project are all the individual pictures that people draw, but also how everyone comes together to collectively comprise the larger image. Kids will come over with their family and friends and sit down and start drawing. Even people that insist that they aren’t artistic or can’t draw end up making beautiful and colorful pictures with such powerful and inspiring messages of what it’s like to have diabetes themselves or have a loved one who does. They are messages of hope, love, support, and of coming together to fight for a cure. I had the opportunity while I was there to talk with a few families and some other type 1 diabetics. I always find it interesting to share stories and hear other people’s experiences. 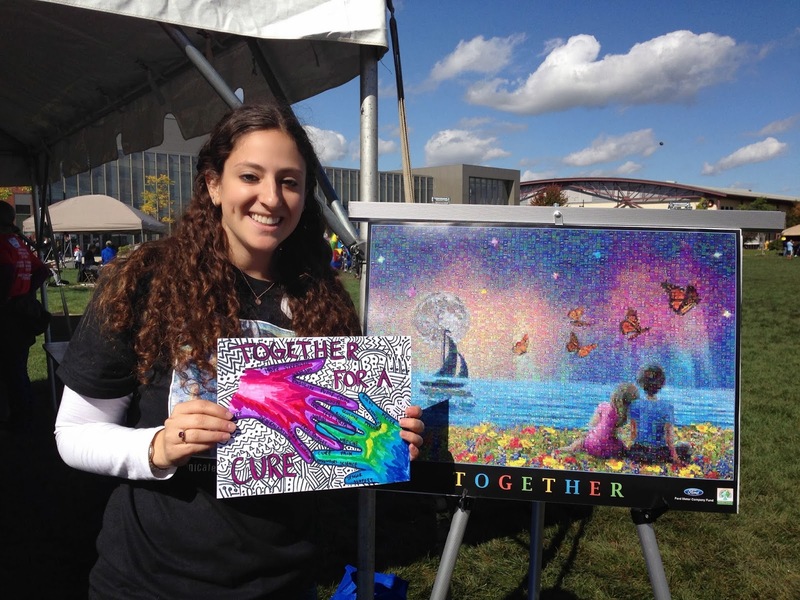 I talked with one young girl that was diagnosed at age 7 and another girl diagnosed in her 20s. I also talked with some parents about what their child is going through versus my own experiences. It kind of makes me wish that I had gone to more events like this when I was younger, but I’m glad that I am going now. It was a great day working with Project S.N.A.P and being part of this inspiring project with so many wonderful T1 diabetics. And after the event, we had a lot of fun going on the roller coasters at Six Flags. For once it wasn’t my blood sugars that were going high and then low and then high again!